#StayWild Tip: Take your work outside. Find a peaceful spot for homework, studying or writing. 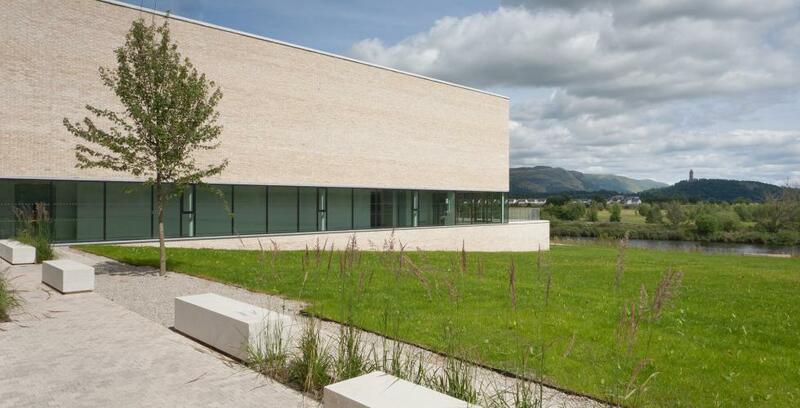 This morning I traveled to the Forth Valley College campus in Stirling for a morning meeting. The campus is on the outskirts of the city centre to the north west, and fully opened in 2012. I was finished with my meeting by lunchtime, and took the opportunity to enjoy the riverside setting. 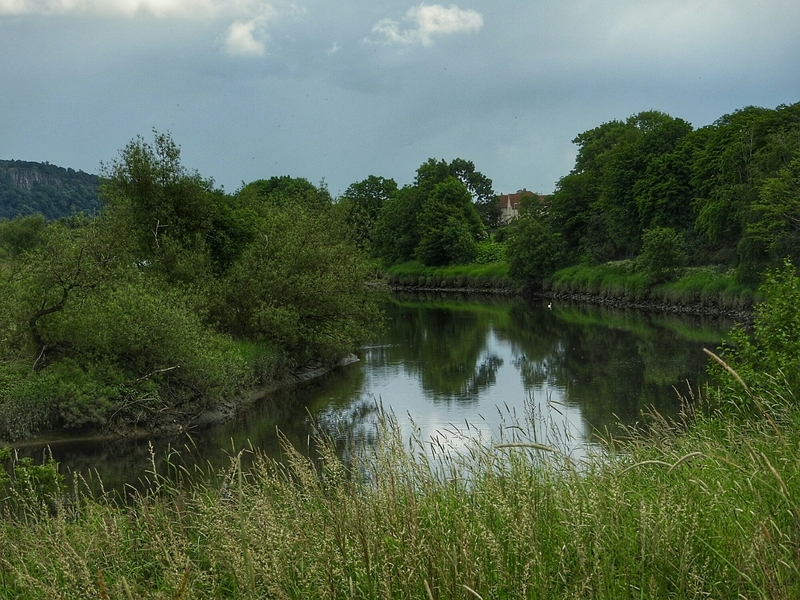 The college is built close to the bank of the River Forth, and you only have to walk (or roll merrily) a few metres from the building to a very pleasant patch of riverside habitat. There are grassy areas with benches, hedgerows and other areas that have been clearly managed for wildlife with tall grasses used in the landscaping. The whole spot felt very calm and peaceful, with birds singing and the signs of water flowing across the shallows. 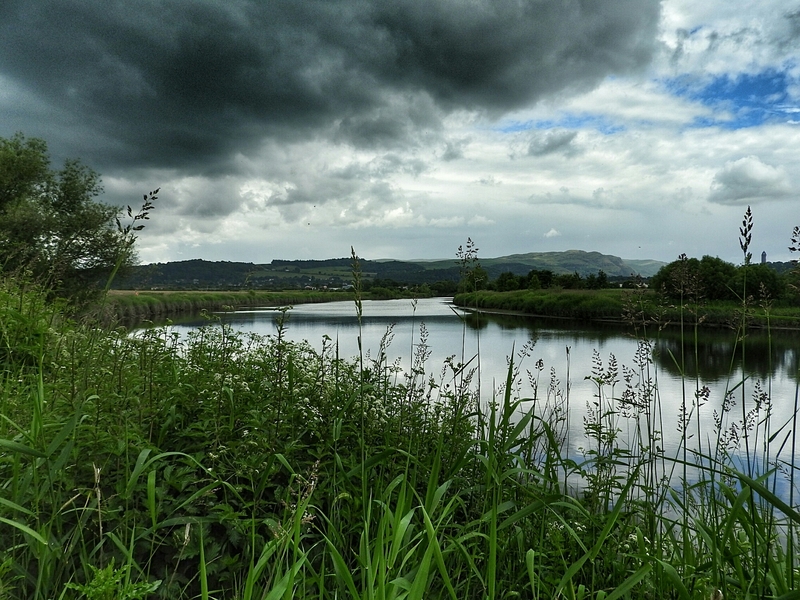 In the distance, the Ochil Hills and dark clouds redolent with rainy promises. The reeds and tall grasses dwarfed wildflowers growing at the margins; flag iris, forget-me-nots, blue and yellow vetches, and woundwort. For a short while I watched the flowers and gasses tremble at the passage of some small and furtive thing traveling at the base of the stems, but it did not reveal itself. I did manage to spot warblers, shy and skulking, amongst the grass but I did not get a close enough view to identify the pair. Perhaps the elusive grasshopper warbler that I have often heard but never seen? 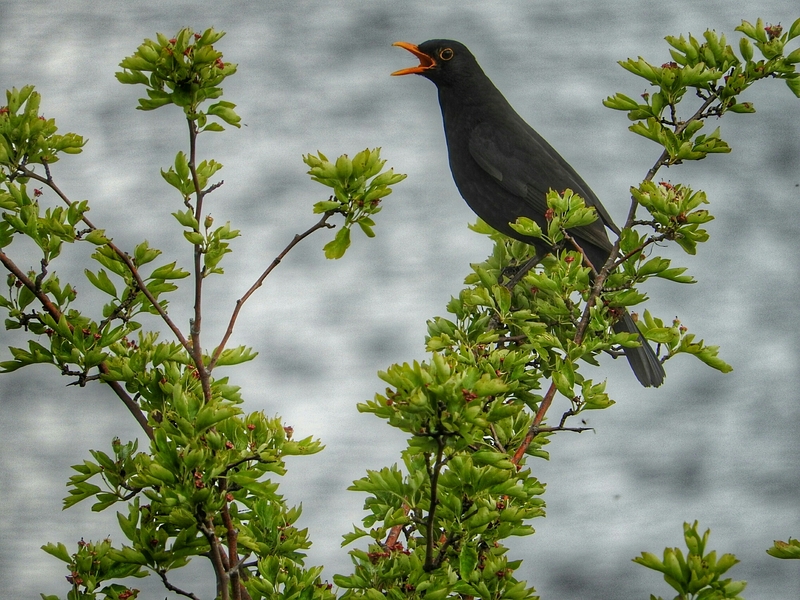 In plain sight was this handsome male blackbird, tuneful and strident singing from his perch. 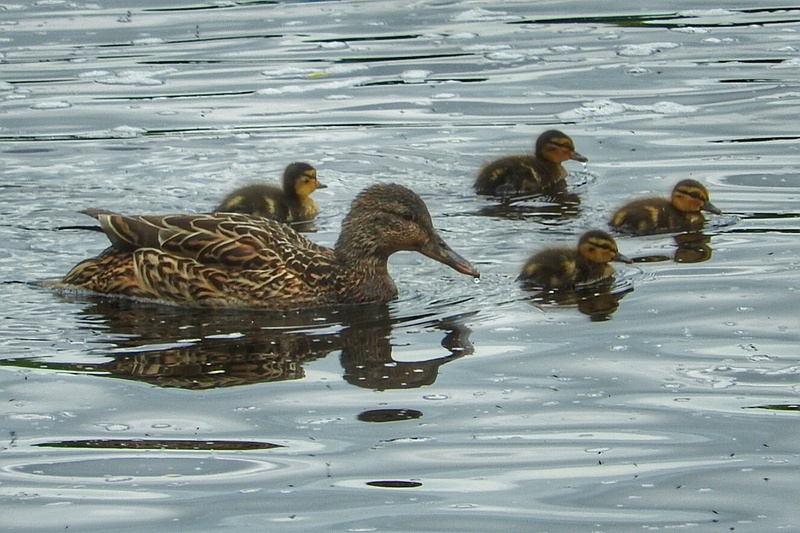 A female mallard and her ducklings enjoyed a spot of dabbling in the slack water. 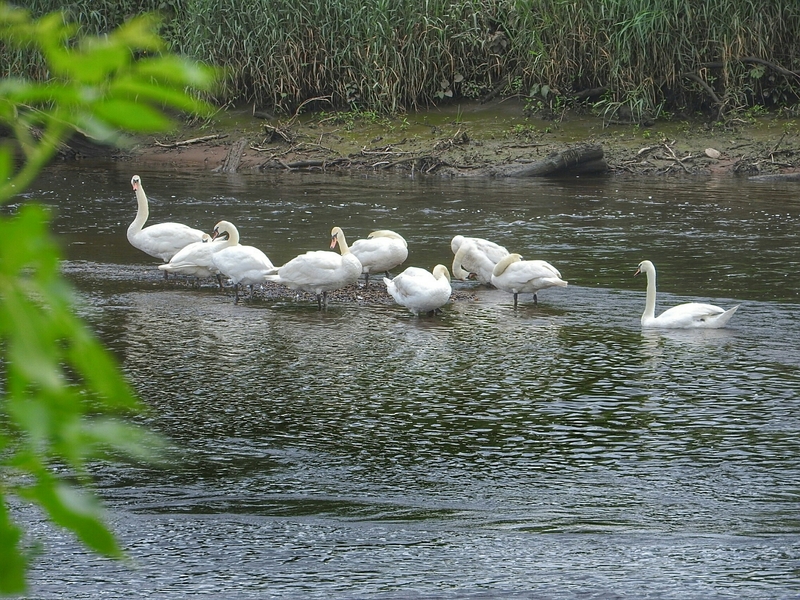 A raised shingle bed in the middle of the river offered a sanctuary to a large group of swans. Apparently, a group of swans is known as a bank, bevy or a herd! Such unsuitable descriptors for riparian regality – what do you think a collective of swans should be called? 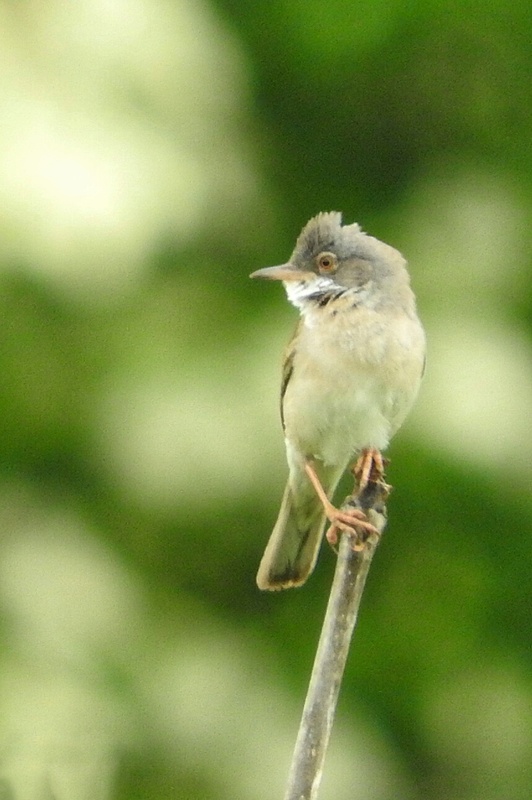 Finally, this whitethroat posed perfectly for a picture, presenting a perfect opportunity to study it in detail, but also to better learn his song. 2016 is definitely turning into the “Year of the Whitethroat”, as these gorgeous and characterful little birds seem to have appeared in abundance this year. I’m pleased that the architects of the campus chose to integrate it into the surroundings in this way, and hope that the students avail themselves of this little slice of wild from time to time. I would enjoy spending time on the bank, book in hand on a mild day, inspired and immersed in song and ripples.